St Patrick's College, Maynooth is proud to host and collaborate with others in facilitating the sharing of scholarship and research. Our lecture series provides opportunities for sharing insight, conversations and community. Please scroll down where you will find a list of past lectures including much video content. President Michael Mullaney. St Patrick's College, Maynooth. The Premier Public Lecture hosted by the Faculty of Theology named in honour of long time benefactor of St Patrick's College. It celebrates the best of international scholarship, research and insight. Prof. David Hollenbach, S.J., the Pedro Arrupe Professor, Walsh School of Foreign Service and Senior Fellow, Berkley Center for Religion, Peace and World Affairs at Georgetown University, USA. Of Pearls and Prodigals: Understanding Jesus's Parables in their Jewish Context. Prof Elizabeth Johnson. Fordham University New York. Ask the Beasts:’ Darwin and the God of Love. Prof. Richard Kearney, Charles Seelig Professor of Philosophy, Boston College. Prof. Judith Lieu, Lady Margaret’s Professor of Divinity, University of Cambridge. Prof. Miroslav Volf. Director of the Yale Centre for Faith and Culture. Dying to Live Forever: Identity and Virtue in the Resurrection of the Bodies of the Martyrs. Prof John Milbank, Professor Emeritus of Religion, Politics and Ethics at the University of Nottingham. Click Here for a Photo. Hosted in conjunction with Trocaire, the development agency of the Irish Episcopal Conference, this lecture raises awareness of international issues of social concern. David Donoghue. As the Permanent Representative of Ireland to the UN in New York, David co-facilitated, with Kenya, the UN negotiations that resulted in the SDGs on 2015. Mr Peter Sutherland. Special Representative of the Secretary General for Migration and Development and President of the International Catholic Migration Commission. Archbishop John Odama from the Diocese of Gulu, Uganda presented the annual Trocaire lecture at Saint Patrick's College, Maynooth on Monday 13 February. Archbishop Odama is a key figure in the peace process which brought a vicious civil war in Uganda to an end. Agbonkhianmeghe E. Orobator, SJ in which he highlighted that water needs to understood not as a commodity but part of the common good. This lecture series has traditionally been jointly sponsored by the Faculty of Theology, SPCM, the Department of Education, National University of Ireland Maynooth, and An Foras Feasa (Institute for Research in Irish Historical and Cultural Traditions), National University of Ireland, Maynooth. 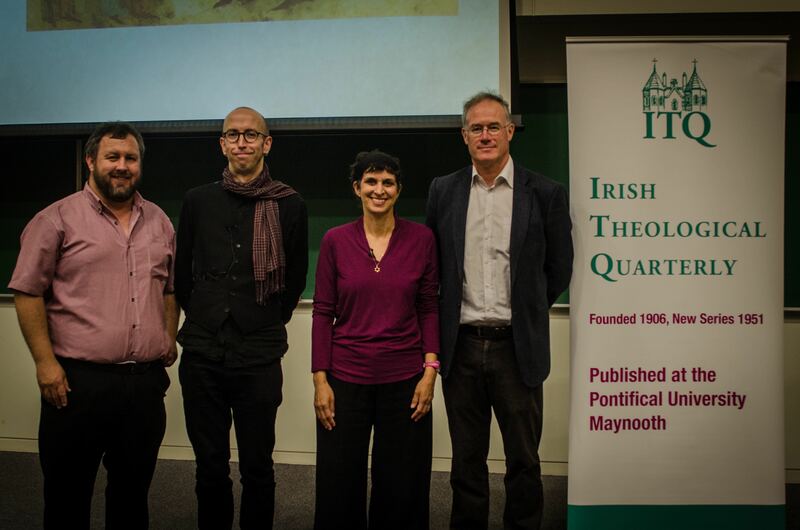 Response: Dr Janet Rutherford, Maynooth Patristic Symposium. Response: Mr Tom Boland, CEO, Higher Education Authority. Response: Prof. R.V. Comerford, Department of History, NUI Maynooth. Response: Tom Collins, Vice-President for External Affairs/Dean of Teaching and Learning, NUI Maynooth. Response: Dr Garrett Fitzgerald, Chancellor National University of Ireland and former Taoiseach of Ireland. 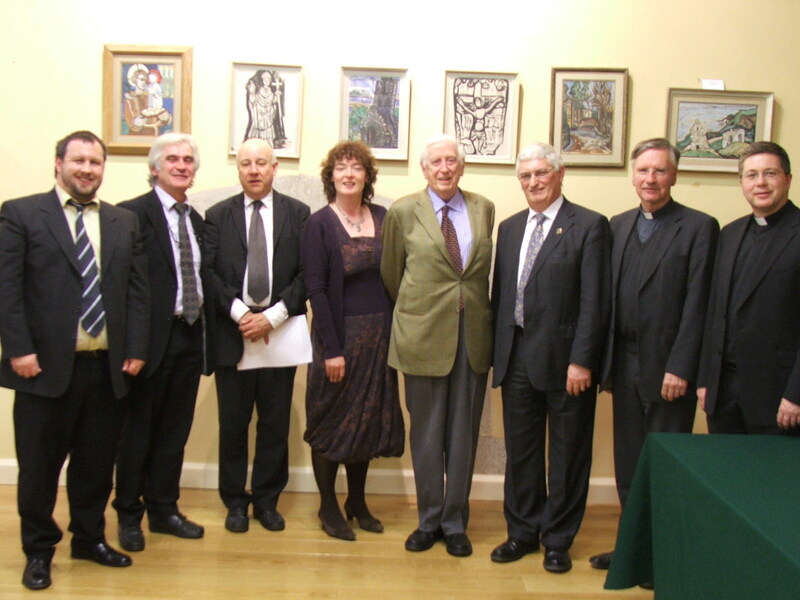 Held in honour of Prof Thomas Gillmartin, former Professor of Ecclesiastical History at St Patrick's College, Maynooth. Prof. William R. Cook, Distinguished Teaching Professor of History, State University of New York at Geneseo. Monday 10 February 2014. The lecture is entitled "Francis: the Saint and the Pope: Translating the Charism of Assisi"